The pictures of Tha Sophat, a 20 months old toddler living in Koak Roka Siem Reap province, is pitiful worldwide. In third countries, the child development is at the most important agenda for the government. Tha Sophat is just an emerging sample reflecting thousands or hundred thousands of other Cambodian children whose future is wholly depending on the capability of their parents in upbringing them. 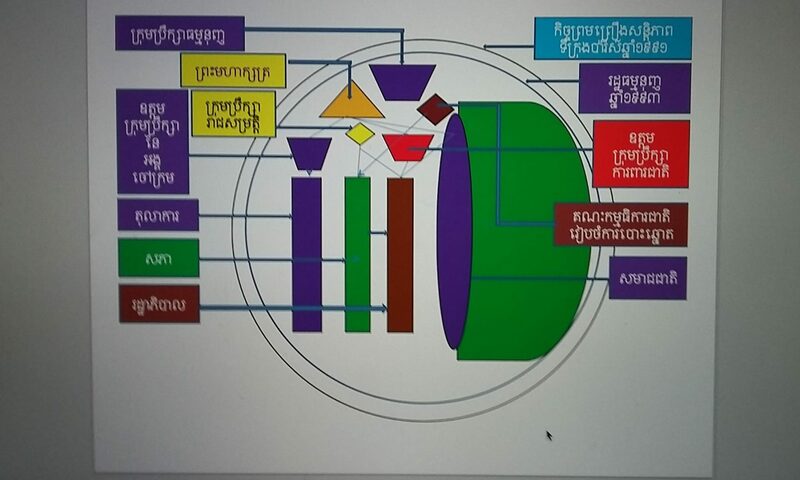 Upbringing children in Cambodia is considered experiencing back to ancient era in which children were left alone at home, or depending on their young siblings, or depending on grandparents etc. In rural areas, don’t mention about nutrition for children, only rice with salt on plate are hard to find for those children to eat. Currently, I observe my 13 months old daughter is luckier than me when I was a toddler; but she seems share the same character like me as she picks and eats everything on the floor. Frankly, I ate every small piece picking up from the ground to including trunks and leaves of the trees till I was 11 years old. Tha Sophat might be luckier than other street children who are making a living by scavenging. 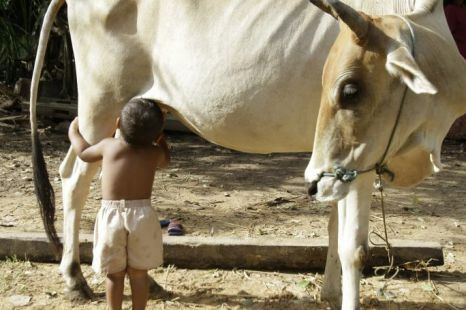 Tha Sophat has reserved a very compassionate cow who are not harming him but accepting him as her extra son by providing her fresh milk everyday! In Canada, no children are left on the street. No children are left in home without adult attendance. No children are left in home without schooling if their ages are 5 years old up. Parents are arrested if they have violated such as leaving children alone or with minor without adult attendance, have not sent children to school at their schooling age, or feeding children without having sufficient nutrition food etc. KOAK ROKA, Cambodia—A Cambodian man says his young grandson has lived partly on milk he suckles directly from a cow since the boy’s parents left their rural village in search of work. Um Oeung said Friday the cow doesn’t mind the young boy suckling but he is worried about his grandson’s health if he continues.